Spirulina is believed to have been a food source for the Aztecs and other Mesoamericans until the 16th-century; its harvesting from Lake Texcoco and subsequent sale as cakes is described by one of Cortés' soldiers. The Aztecs called it Tecuitlatl, meaning stone's excrement. Spirulina was found in abundance at the lake by French researchers in the 1960s, but there is no reference to its use there as a daily food source after the 16th century. The first large-scale Spirulina production plant, run by Sosa Texcoco, was established in the early 1970s. 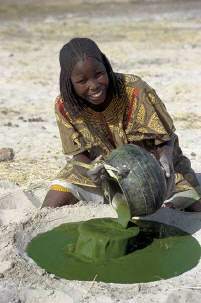 Spirulina may have an even longer history in Chad (Afrika), as far back as the 9th century Kanem Empire. 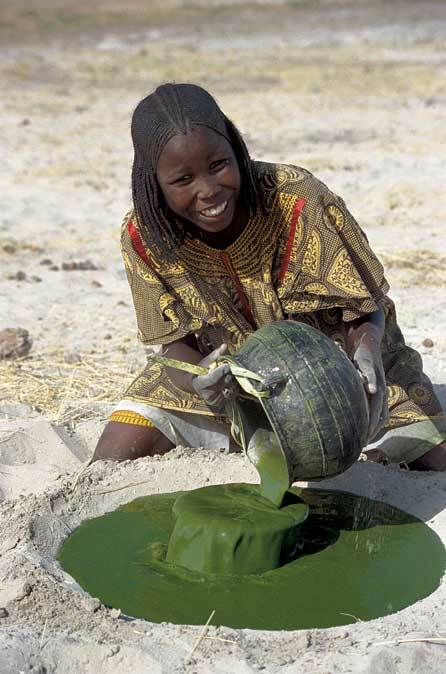 It is still in daily use today, dried into cakes called Dihé, which are used to make broths for meals, and also sold in markets.The Spirulina is harvested from small lakes and ponds around Lake Chad. Met Paypal betalen = zonder verzendkosten !